We encourage your efforts to divest from corporations which profit from or support Israel’s occupation of the West Bank, including East Jerusalem, and the siege of Gaza. As Jewish leaders who also work for justice and peace for the people of Palestine and Israel, we applaud your initiative and stand in solidarity with you. Within North American Jewish communities, there is a growing desire to end our silence over Israel’s oppressive occupation of Palestine. Every day Jewish leaders – we among them – are stepping forward to express outrage over the confiscation of Palestinian land, destruction of farms and groves and homes, the choking of the Palestinian economy and the daily harassment against Palestinians. Members of our Jewish communities are increasingly voicing their support for nonviolent popular resistance against these outrages – including the kind of principled, targeted divestment efforts such as the Presbyterian Church (USA) is preparing to undertake. 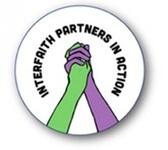 Join the growing number of interfaith clergy and lay people from different faith traditions united in their support for divestment from companies profiting from the Israeli occupation.